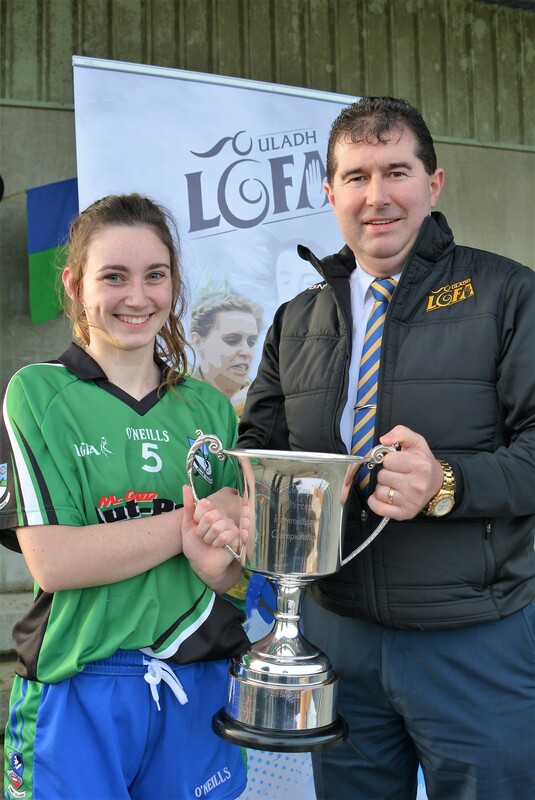 Ellie Mc Carron turned in a five star performance to help her side win the Ulster intermediate final by just a single point. Deep in injury time Mc Carron hit the winner to bring her tally for the game to six points. In a close first half the sides were level 3 times and went in at the break at 2-4 each. Kinawley struck the first goal in the 3rd minute when Aine Mc Manus powerful close range shot crossed the line despite the best efforts of the Emmet Og keeper Darina Morgan. Two minutes later and Emmet Og found the net when youngster Fearne Monaghan jinxed her way by three defenders to slot home a super goal. The sides then exchanged points and in the 25th minute Laura Boylan netted after good work by Mc Carron however a goal very late in the half by the lively Shauna Melanaphy left the sides all square after 30 minutes. The second half was much of the same with the sides trading points early on. A Chloe Mc Bride goal in the 21st minute gave Emmet Og a four point lead however Joanne Doonan fired over a free and then struck from the penalty spot to leave the sides level with time running out. When heroes were needed up stepped Ellie Mc Carron who hit a winning point from all of forty metres out on the left. Shortly after the referee blew the final whistle and the pitch was invaded with very happy Emmet Og fans.